Chronoblob2 is a digital delay module! Just like his little brother, Chronoblob2 can sync to a clock signal. Patch one into the SYNC input and choose a multiplier or divider for rhythmic delays. Or leave SYNC unpatched for access to continuously variable delay times! 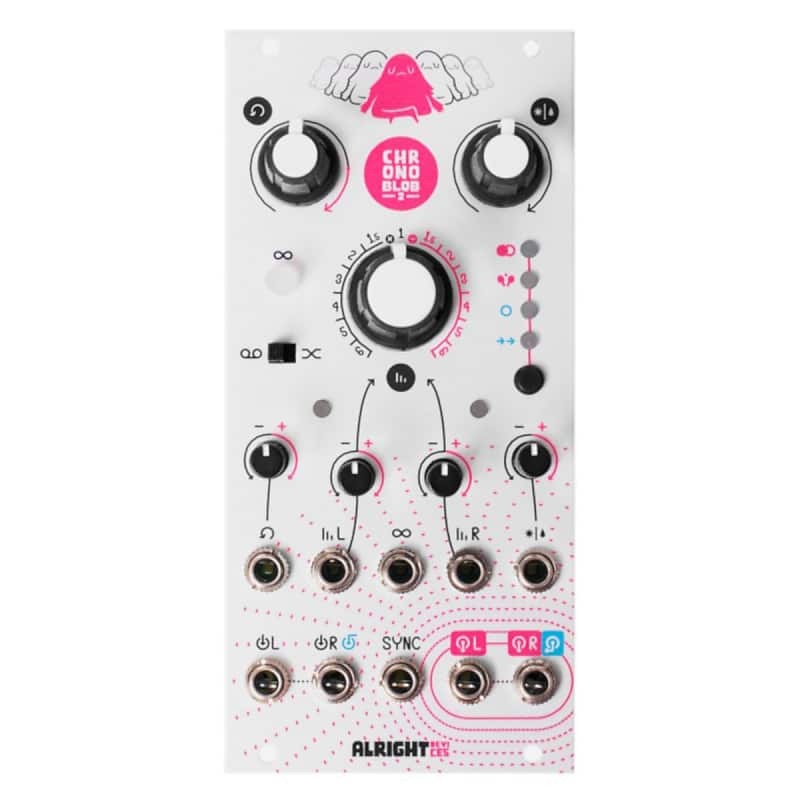 Chronoblob2 offers four different delay modes! Dual delay mode provides two separate delays with shared controls. Ping-pong mode extends this intermingling even further by placing each delay in the feedback loop of the other. 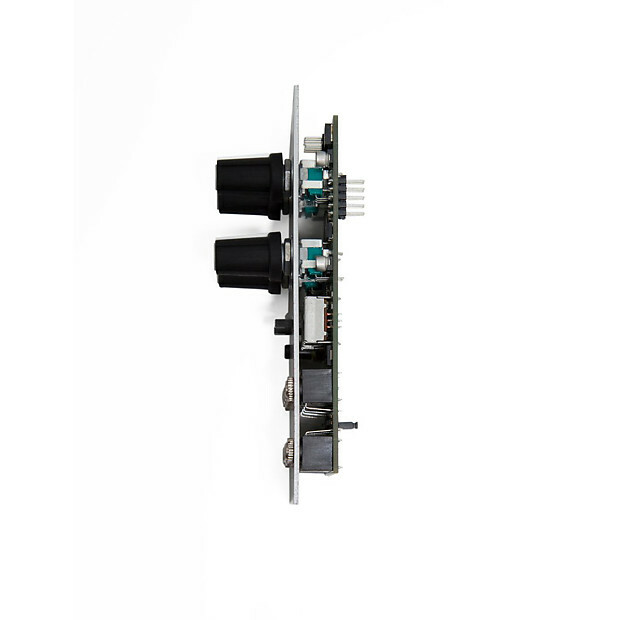 Chronoblob2 provides control voltage inputs for TIME, FEEDBACK, and DRY/WET, and bipolar attenuators for each so you can dial in just the right amount of control. 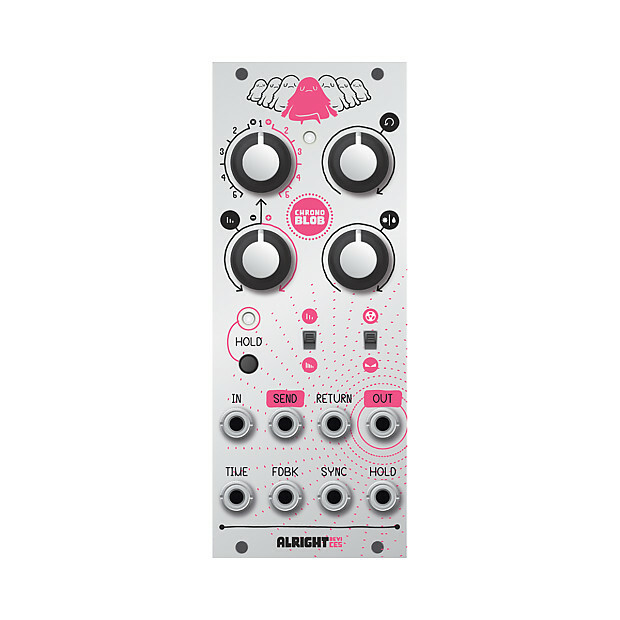 Also in these 'pink' modes, the right audio input is normalled to the left input, and the right audio output is normally mixed into the left output (patching into the right jack breaks this connection). Chronoblob2 offers an INFINITE LOOP button and gate input to shut off the delay inputs and lock the feedback at 100%.